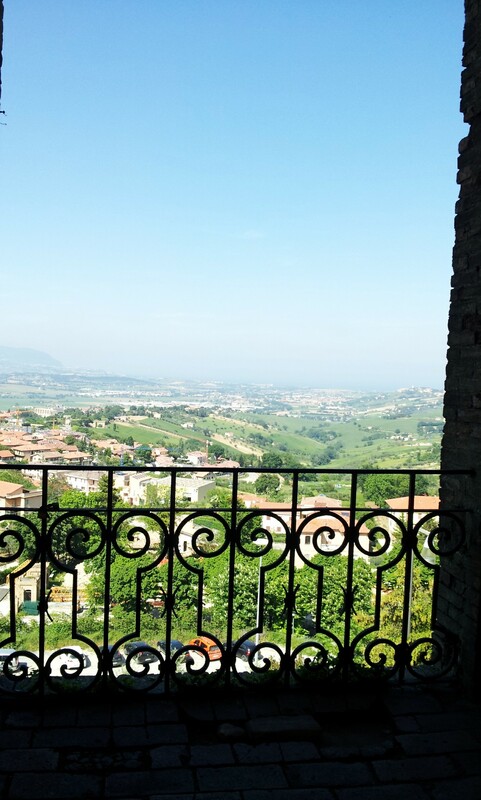 Where: In the Ancona province of Le Marche about 8km away from the Adriatic coast. It’s close to Loreto and set in some wonderful countryside. 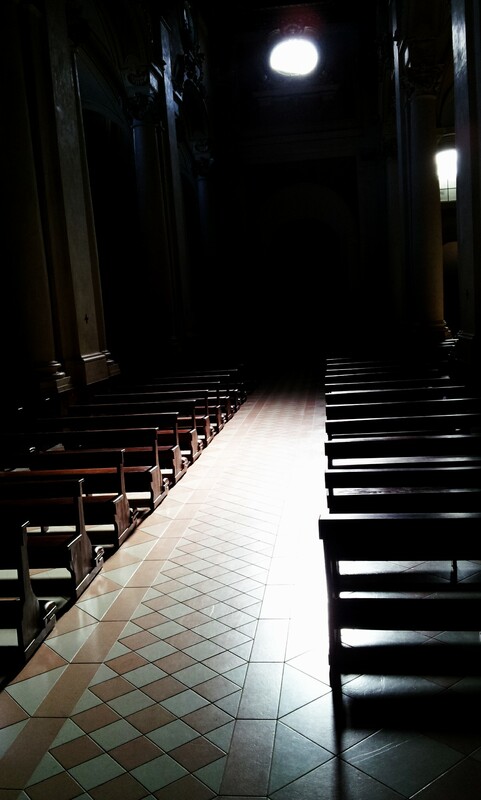 Things to do: Personally, I like just wandering around places but there’s a couple of museums to visit and the churches/cathedrals are mainly open to the public so worth checking the doors (which are usually closed) if you’re interested in that kind of thing. 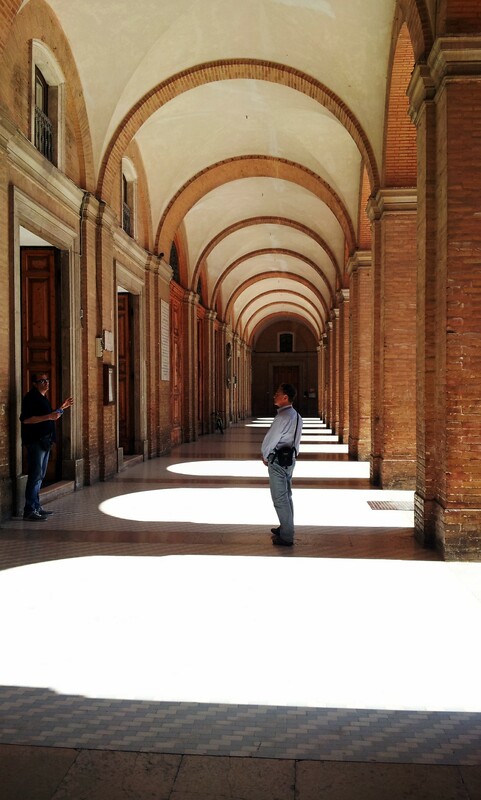 Things of note: There’s a lot of cultural stuff in Recanati. 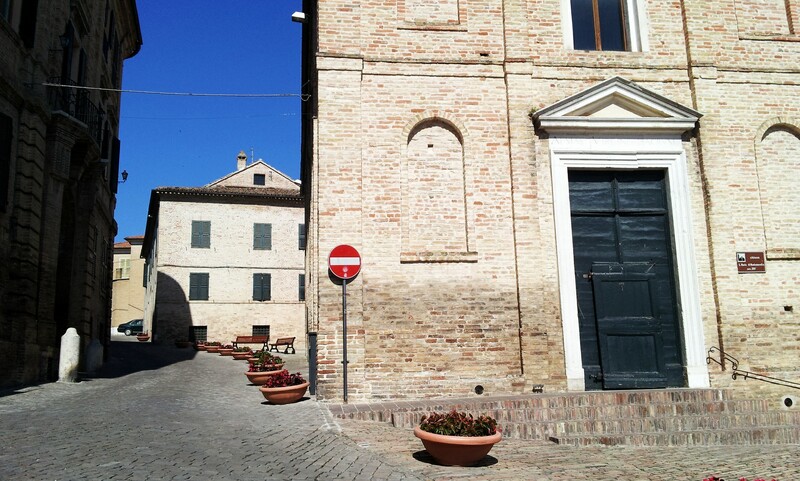 Giacomo Leopardi lived here – he’s the Italian “wordsworth”. 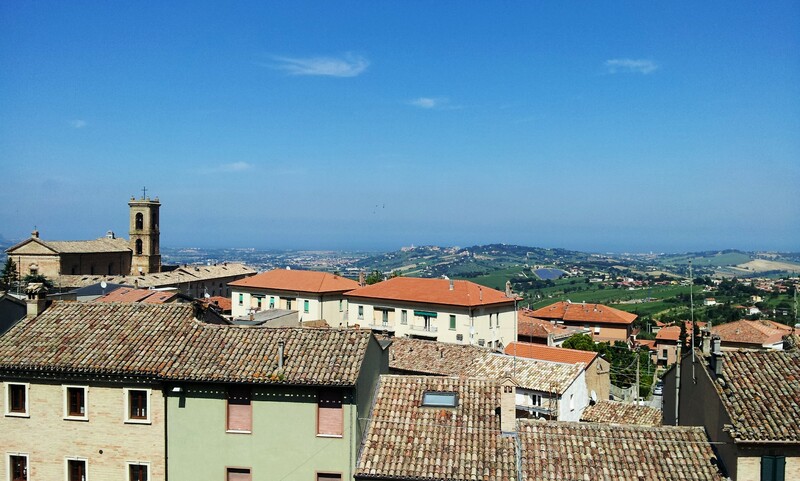 For more info: Have a look at the Tourist Information website for Recanati. It’s in Italian but if you’ve got a decent web-browser, it’ll offer to translate for you. Possibly one the older cathedral – I should have made notes as well as taken photo’s when I was going around! Couldn’t get into this one. 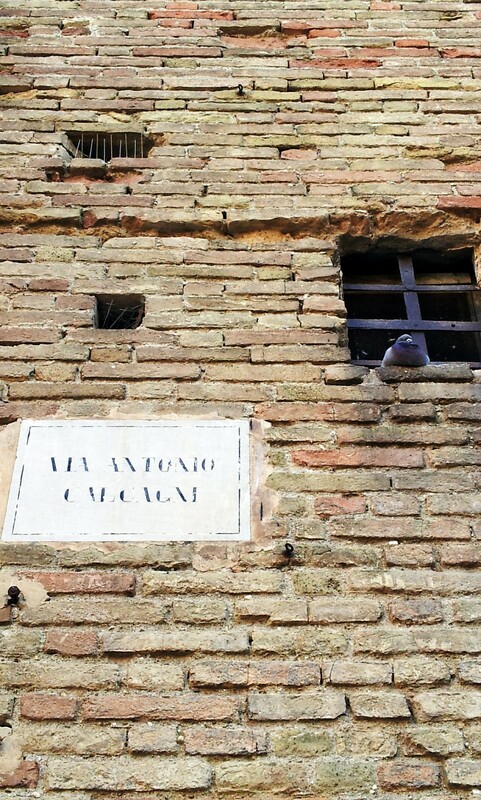 Recanati seemed to be built with pigeons in mind – there’s lots of little holes with snoozing pigeons in. Very cute! 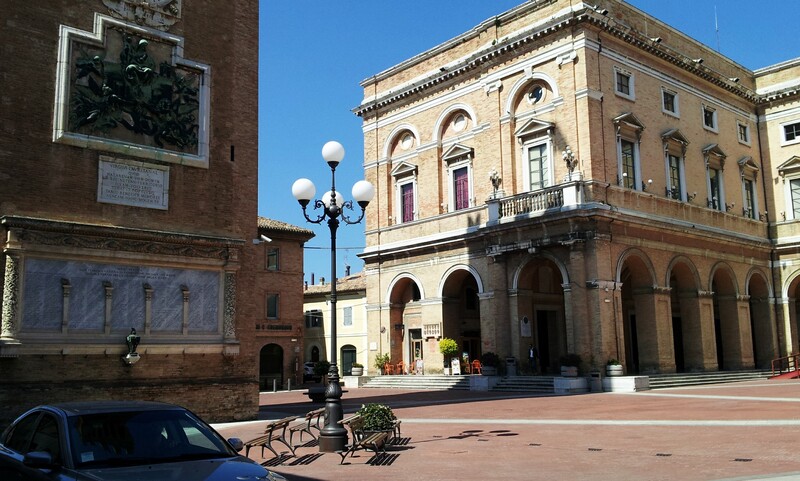 This is taken from the middle of the main piazza in Recanati. You can sit out in the middle and have an icecream. 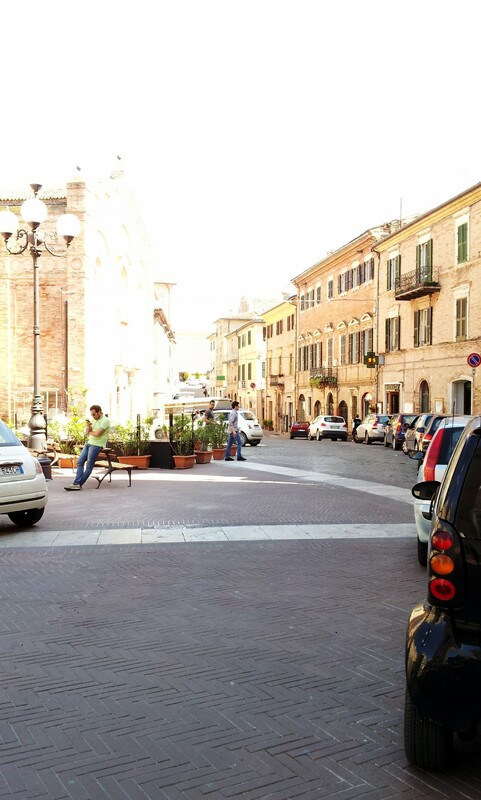 Main piazza, have a seat there for a drink / ice cream. 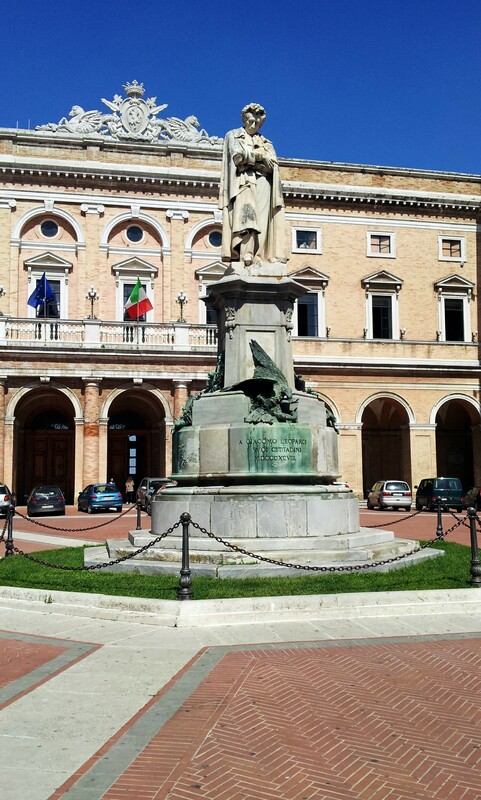 This a statue of Giacomo Leopardi – the Italian version of Wordsworth. http://en.wikipedia.org/wiki/Giacomo_Leopardi for more info. 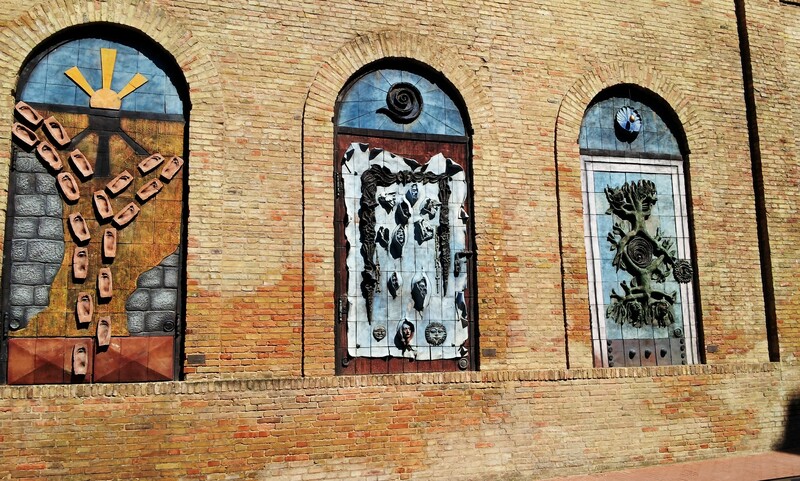 They’ve got some very cool murals / wall sculptures as you go into the town from one side at least, very effective. Another beautiful vista taken from a look out spot! Any hints and tips yourself on (or corrections to make to the above!) 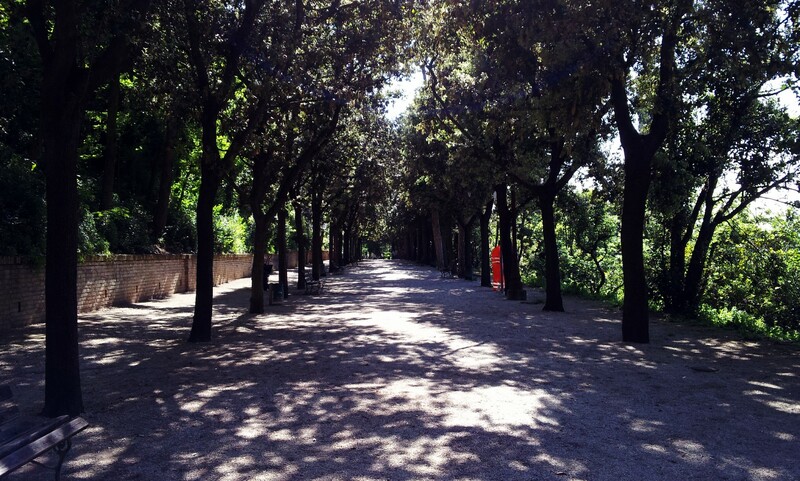 on Recanati? Please get in touch!